It turns out that the mighty Cessna can indeed fire Hellfire missiles! As events unfolded rapidly yesterday afternoon into the evening, we had several different stories about what took place in Iraq in response to President Obama authorizing air strikes against Islamic State, or IS. Air drops of humanitarian aid are undisputed. These were for a group of Iraqi civilians who became stranded after fleeing IS, fearing execution because they belonged to various non-Muslim religions. That air strikes took place during the night Thursday night in northern Iraq also is not disputed, but we had multiple reports on who was responsible. The New York Times initially said the strikes were carried out by US aircraft, but eventually relented and the current version of their story (with caveats to be seen below) quotes the Pentagon as saying the strikes were carried out by Iraq. At the height of the confusion, there was even a trial balloon floated that perhaps the strikes were carried out by Turkey, but that story didn’t appear to catch on anywhere else. Clandestine action will be key to success. Aircraft carriers decide what is on their deck and what is not. If you decide to covertly support Kurdish forces, naval aircraft can complete the circuit and return to deck. No landing in Turkey or Jordan in plain view of anyone with eyesight. No cell phone pictures from the flightline, which is exactly how the RQ-170 Sentinel was exposed. Whatever you say was in Iraq’s airspace was there, and whatever you deny was in their airspace wasn’t there because you decide what was there. The official said the cooperation had included airstrikes by Iraqi forces against militant targets in the north. Kurdish and Iraqi officials said that airstrikes were carried out Thursday night on two towns in northern Iraq seized by ISIS — Gwer and Mahmour, near Erbil. Earlier on Thursday, The New York Times quoted Kurdish and Iraqi officials as saying that the strikes were carried out by American planes. 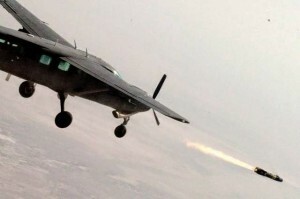 Iraq’s air force has been very slow in getting to its feet. A handful of Seeker light observation aircraft with their distinctive bubble-shaped fronts, a few Comp Air light propeller aircraft, a couple of old, refurbished C-130E transports, and a slowly growing fleet of helicopters. A few Hawker Beechcraft King Air 350s have been orderedfor transport and surveillance duties, and an RFP for armed counterinsurgency aircraft has only given Iraq a set ofunarmed T-6B trainers. Even subsequent ordersfor F-16C/D fighters and L-159 advanced trainer and attack jets leave the Iraqi air force a long way from being able to secure Iraq’s sovereignty and territorial integrity. While it continues to grow<, the IqAF’s primary duties remain troop/medical transport, light supply duties, and surveillance of roads and infrastructure. 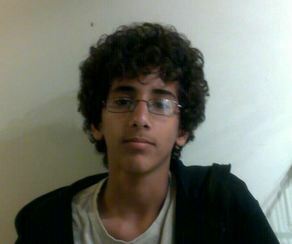 A portion of a photo of Abdulrahman al-Awlaki from his Facebook memorial page. On Saturday, I wrote about a series of Friday drone attacks in southern Yemen. The most prominent of these attacks killed Ibrahim al-Bana, who is described as the media chief for al-Qaeda in the Arabian Peninsula. This same attack, however, also killed Abdulrahman al-Awlaki, the son of Anwar al-Awlaki, the American cleric targeted and killed last month in Yemen in another US drone attack.